An international mission is on its way to investigate abuses against LGBT+ people in Chechnya. The mission is led by an eminent human rights expert. Earlier this month, the UK joined 15 other countries in launching this independent investigation at the Organization for Security and Co-operation in Europe (OSCE), invoking the powerful Moscow Mechanism. The investigation is the first of its kind – since the news of the anti-LGBT+ crackdown first broke over 18 months ago, no one has been held to account for these crimes. Worse still, the persecution of LGBT+ people in Chechnya continues to this day. 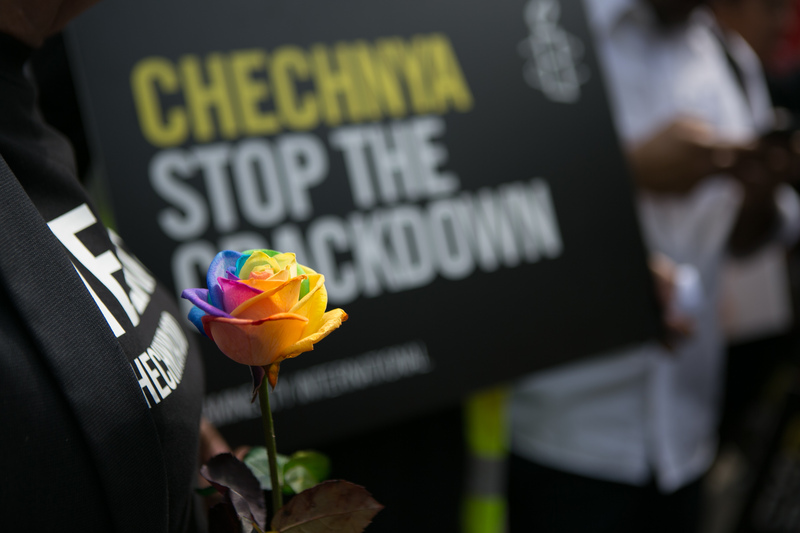 The international investigation was launched after Russia failed to respond to 15 countries’ demands for information about the persecution of LGBT+ people in Chechnya, ignoring its obligation to do so under the OSCE’s Vienna Mechanism. The expert mission has been tasked with investigating allegations of torture, illegal detention and extrajudicial killings against people in Chechnya based on their (perceived) sexual orientation or gender identity as well as human rights defenders and others. We have been lobbying the UK Government to support the investigation, which has been one of the main calls of the Russian LGBT Network – the organisation leading the emergency response on the ground. An international investigation is an important step in the long fight for justice for the victims and survivors.